Description 3rd Row Seat, Heated Seats, Rear Air, Satellite Radio, Back-Up Camera, Alloy Wheels. EX trim, Modern Steel Metallic exterior and Gray interior. EPA 28 MPG Hwy/19 MPG City! Warranty 5 yrs/60k Miles - Drivetrain Warranty; CLICK NOW! KEY FEATURES INCLUDE Third Row Seat, Rear Air, Heated Driver Seat, Back-Up Camera, Satellite Radio. Rear Spoiler, MP3 Player, Power Third Passenger Door, Privacy Glass, Keyless Entry. Honda EX with Modern Steel Metallic exterior and Gray interior features a V6 Cylinder Engine with 280 HP at 6000 RPM*. 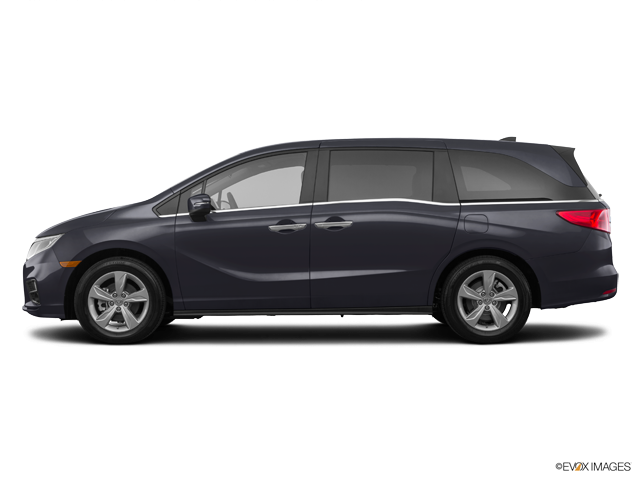 EXPERTS ARE SAYING Edmunds.com explains "No SUV can match the 2019 Honda Odyssey for ease of use or flexibility. It doesn't hurt that the Odyssey comes standard with a strong V6 and comfortable seats. ". Great Gas Mileage: 28 MPG Hwy. Horsepower calculations based on trim engine configuration. Fuel economy calculations based on original manufacturer data for trim engine configuration. Please confirm the accuracy of the included equipment by calling us prior to purchase.